Every business has that one go-to person who knows the industry better than anyone else. At Sierra West Publishing, that would be John Moreno, our Chief Estimator and the Vice President of Sierra West Group. Co-workers constantly marvel at the fact that John can mentally calculate the estimation of building construction within 5% of actual costs. His meticulous mind works up an estimate as he talks with customers, factoring in the Current Construction Cost Index. Sorry, You Can’t Borrow John. Not every business has someone like John, and we haven’t figured out a way to clone him perfectly yet. We like to think of our manuals as our way of sharing John with the rest of the construction world. Thanks to our manuals and software, estimators don’t need to keep all that information in their heads. Instead, they can easily refer to a top quality construction cost manual like the one that Sierra West Publishing has been publishing for decades. It makes construction estimating fast and precise. Sierra West Publishing provides a manual that estimators and others in the construction industry can trust to work up a construction estimate. Our passion for getting it right shows through in the quality of the information found in each manual year after year. Built on decades of experience in construction estimating, Sierra West Publishing was forged in the fire of real-life estimating. The most satisfying part of sharing this information with our customers is the fact that it helps to reduce the headache and pain faced if errors occur. We offer only the most comprehensive and current construction costs for commercial and residential building needs. Our dedication to continual improvement has helped us to create a proprietary method of fixing costs, factoring in yearly increases, so the data we provide is always the latest and most complete. As we strive to continue to serve our customers better, we are in the final phases of launching brand new estimation software with all our data built in. It makes estimating much quicker, reduces the possibility of errors, and allows you to access information efficiently for the best use of your resources. Check out our new software now. 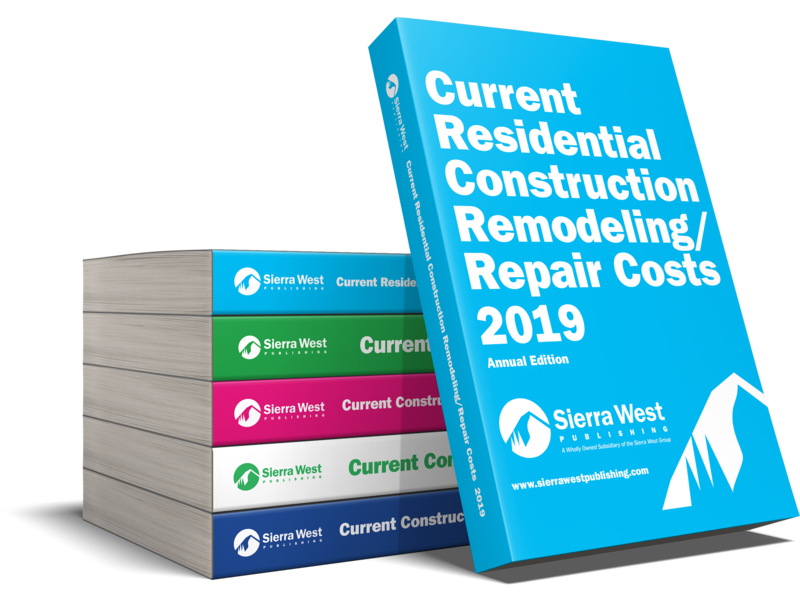 The Sierra West Construction Costs manuals have become seen as industry standards and are listed amongst the most important indices for construction in this country. When you are looking for the most accurate information available to ensure that best quality estimates for your customers, look no further. Click to check out our full library of construction cost manuals.